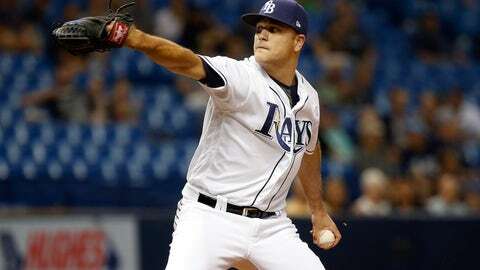 The Milwaukee Brewers have signed lefty reliever Dan Jennings to a one-year contract after he was released by the Tampa Bay Rays on Monday. In 77 games last season with the Rays and Chicago White Sox, Jennings posted a 3-1 record with a 3.45 ERA. Over a span of six seasons, Jennings owns a career record of 12-13 with a 2.90 ERA in 310 appearances. To make room for Jennings on the 40-man roster, RHP Jimmy Nelson has been transferred to the 60-day disabled list while Ji-Man Choi has been optioned to Triple-A.